The Hieroglyphics crew prefers to call its annual music festival a block party. Although it is billed as a music festival, Hiero Day is more like a block party, according to DJ Toure and Tajai of the legendary Hieroglyphics crew. There is a precedent for this distinction. Contemporary music festivals claim a mission of building temporary communities around the shared experience of music and art, but this is often placed behind a high paywall. The cheapest ticket for the most recent Outside Lands, for example, was $125 for a single-day pass. There isn't anything innately wrong with this model, but it does ensure that anyone below a certain level of income cannot attend — and it calls into question the effectiveness of building a community that is, to an extent, economically exclusive. Hiero Day refuses to abide by this model. For the first several years of its existence, it was a free festival. Due to its growth over the past seven years, the organizers have recently had to resort to selling tickets, but the members of the Hiero Day staff have committed themselves to charging only what they will need to cover the overhead for the festivities. As it stands now, general admission tickets for the seventh annual Hiero Day, an all-day event with three stages and 43 acts, are on sale for $19.93. "A block party is when you get everyone in your neighborhood out to eat food, listen to music, and celebrate their community," said Tajai. "In order for that to work, we need to make sure everyone in that community has access to it." 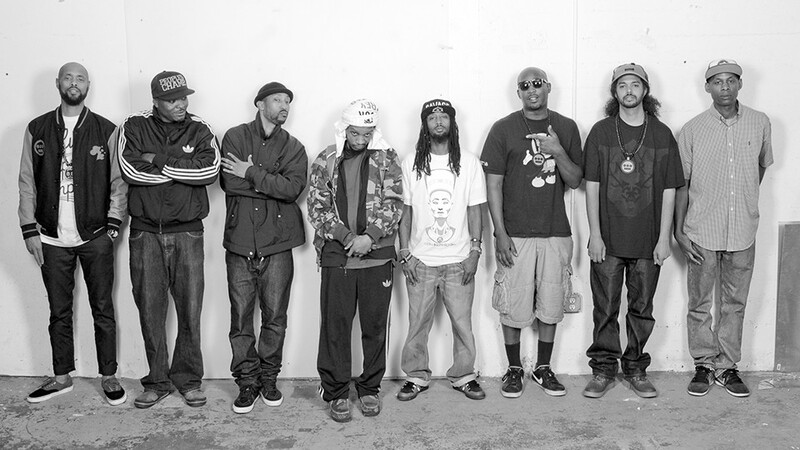 Oakland has changed considerably since Hieroglyphics formed in 1989, but the group has remained a fixture in the city and, to this day, continues recording music and operating as a collective out of its offices in East Oakland. It would be hard to overstate its impact on Bay Area hip-hop as its music was among the foundational sounds that defined the West Coast underground genre. "We were one of the first groups of fully well-rounded performers," said Toure. "As emcees, we were known for freestyling, and on the music side we stood apart by making heavy melodic bass, sampling from a very curated space. We used samples people hadn't heard before. There was a lot of crate digging, and that made us unique." This uniqueness has been embraced by the city the group calls home, and Hieroglyphics, according to Tajai, owes its success to the fans in the community. It's this appreciation for its fans and its home that gave the festival its start seven years ago. "It's our opportunity to throw a party for everyone who has supported us — to give back, put other people on, and have a great time," said Tajai. The original idea came when a fan suggested on an online forum that Sept. 3 be dubbed "Hiero Day." The date (9/3) is a reference to the song "93 'Til Infinity" by the Souls of Mischief, a group within the larger Hieroglyphics collective. Casual, another member of the group, liked the idea and suggested that the crew throw an event on that day. Since then, Hiero Day has occurred every year at the start of September on Labor Day. What originally began as a small gathering based on a calendar pun has grown each year with larger attendance rates, more vendors, and higher profile acts. In 2014, the Oakland Mayor's office officially declared Sept. 3 as Hiero Day, thus turning an online joke into a legitimate city holiday. Festival coordinator Veronica Webber said Hiero Day has been fully embraced by the region and that many artists are eager to perform at the event. "I have an inbox completely full of requests from people asking to come play on our stage," she said. This year's lineup includes performances from Black Though, Chali 2na, Freddie Gibbs, and other big names as well as local up-and-comers. Tajai explained that the changes as Hiero Day has grown are quite simple. "It's gone from 'Hey homies, come rock a set at this block party' to us having the biggest block party in Oakland," he said. But Tajai is being humble. Hieroglyphics as a collective has been focused on community development since its start, and that has translated over to the festival. "Ninety-five percent of our investments [as a group] are in Oakland. We have been working towards starting businesses that will create jobs here in East Oakland," said Tajai. "It's difficult to mix the festival and commerce world with nonprofits and community development, but we are making it work." The members are operating within the limits of what their budget allows, but it's clear that the mission of community development steers their decisions. "If we had the money to bring out Beyoncé, we would be using it for housing initiatives," said Tajai. This year, Hiero Day has partnered with Akira's Book Club, an organization dedicated to children's literacy. The club will have its own tent set up on festival grounds with a broad selection of children's literature as well as readings conducted by artists and volunteers throughout the day. There will also be free back-to-school haircuts given out the entire day to help kids look their freshest for the start of the academic year. Additionally, the festival is providing info tables for local nonprofits, resources for voter registration, and free HIV testing. There is a lot of rhetoric in the world of events, concerts, and festivals about having a positive communal impact; Hieroglyphics aims to truly walk the walk. While today's Oakland isn't the same Oakland that Tajai, Toure, and the rest of the Hieroglyphics crew rose to fame in, and while they recognize the implications of gentrification and the ever-increasing cost of living in the area, they are also hopeful that the festival can build bridges and understanding between the old and new residents of Oakland. "We've watched a lot of families lose their homes or choose to up and leave," said Toure. "We are invested in Oakland," Tajai added. "If you're new here, don't come just to pump up the real estate prices."